Given that the R1 replaced part of double-decker 229 there were immediate capacity problems, despite the "high frequency" services. Lack of space for shopping and pushchairs did not go down well either. Hail & Ride was introduced too, but passenger disputes over whose front gate was stopped at soon gave rise to regular stopping points, albeit without flags. Operation was from an industrial estate unit in Orpington (OB). A second was quickly added. The Knockholt Pound - Sevenoaks section was abandoned in May 1987 - it was covered by Kentish Bus route 22. 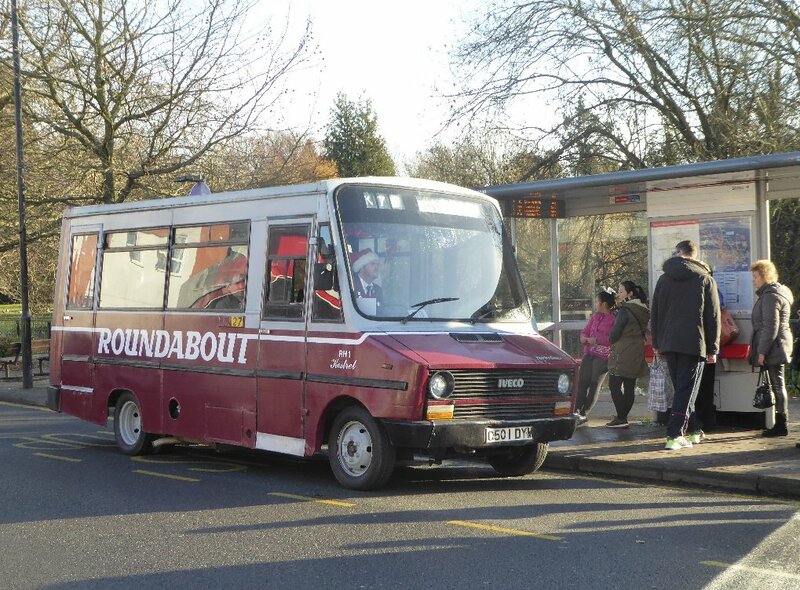 Roundabout did operate a Kent County Council service in the evenings on the 22 (Bromley North - Tunbridge Wells), on the 23 (Sevenoaks - Westerham), and the 26 (Sevenoaks - Noahs Ark). These lasted eight or seventeen months. Amendments were made to the other services too, R11 being introduced for services via Orpington Hospital, and R7 between Orpington and Petts Wood (Coppice Estate). 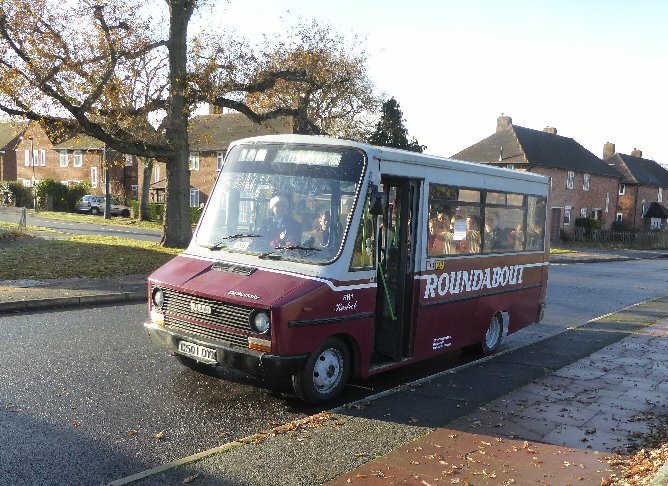 Twenty four Robin Hoods were more than were needed, so RH14,19,20 and 22 were held back by Aldenham for use as staff buses. These four were loaned in October to Eastbourne Buses for their Red Carpet service. They returned in December, or April 1987, but not to Orpington: they went into store at Camberwell, from where two RH19 and RH22 emerged in blue livery for Battersea's Chelsea Harbour Hoppaservice (C3). They moved in September 1987 to Victoria Basement (VB), which had been set up as a mininbus base. RH14 went to Orpington, but RH20 did not. After a spell training at Camberwell and Battersea it went back to Eastbourne to be repainted in Eastbourne-style blue and cream for use by the Bexleybus cheapo unit. 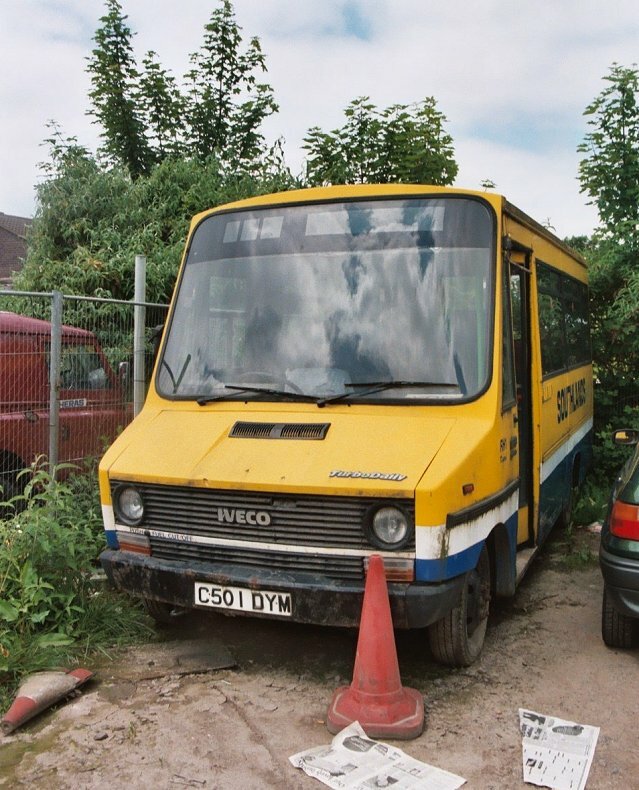 Capacity problems saw most of the Ivecos replaced later in 1987 by Metroriders (loaned from Bexleybus) and new MetroRiders early in 1988. RH1-9 remained at Orpington, while RH10-18, 20-21 and 23-24 went to Bexleybus. RH19 and 22 came back to Orpington from Victoria at the end of 1989. 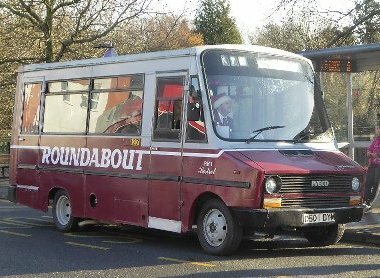 Roundabout operations came under the Selkent umbrella in December 1992, and livery of the remaining Ivecos became LT red with large Roundabout fleetnames. The Orpington Buses lasted until May 1993, when they went of to Fulwell for sale. RH1, RH5 and RH7 lasted longer at Orpington, RH1 until the end of Roundabout operations in December 1995. RH2, 3, 4, 6, 8 and 9 moved on from Fulwell to Luton & District. The Ivecos displaced in 1987 (RH10 upwards, with exceptions) were repainted in Bexleybus blue and off-white by Eastbourne Buses, and went to Bexleyheath during 1987 and 1988. There they operated on a midibus network, along with the Metroriders. January 1991 saw the end of Bexleybus: staff had voted with their feet over the worsened working conditions and rates, and the unit had been devastated by a tendering round. Most of the RHs went to London Bus Sales at Fulwell, where most were taken up by Luton & District and Midland Fox, with odd sales to Cambus and Viscount. RH15 returned to Orpington. 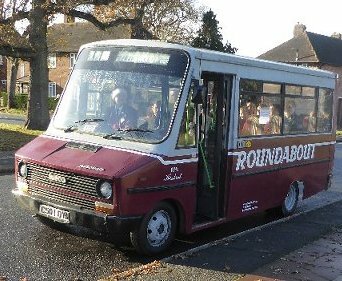 RH1 went into preservation at the end of its time with Roundabout. It was loaned to Soutlands Coaches at Swanley, where it gained the inverted-Metrobus colours of yellow and blue.